Becoming a certified makeup artist is probably one of the hardest and most rewarding things I have ever done. I am elated and empowered to be have to put myself out in the makeup industry. I have dealt with many emotions since getting my certification, have had some amazing opportunities arise, and have created a plan for my future as a makeup artist. It honestly feels like a whirlwind of emotions and I am not afraid to admit that I cried when I received my certification. It was a momentous occasion for me, as this was something I had wanted to achieve for over 10 years now. All the challenges and struggles I went through during my course now feels worthwhile. And I know that with all the knowledge I’ve learned in my course and with my Master International Makeup Professional Certification behind me, I can go out in the industry with my head held high. The day I changed my title to “Certified Makeup Artist”, I was contacted by a fashion designer for a photoshoot with her new clothing line… the same day! It feels incredible to know that my title as a certified MUA holds weight, and I am glad I took the time to get the right training. People notice the difference! Some may call it luck, while others may say you were just at the right place at the right time. Whatever you call it, I was lucky enough to have it happen to me. 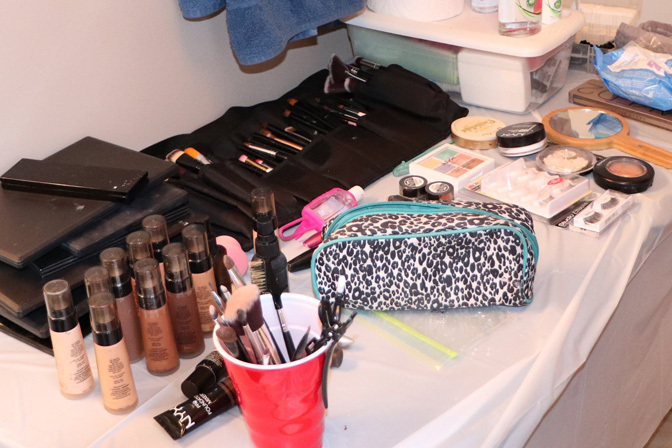 I landed a job as a key makeup artist on a short film, and this is how it happened. Many moons ago, I worked at a restaurant where I met one of my now best friends, who is a writer and is currently working on a book. We used to always talk about our dreams and how we planned on getting there, and I told her that if she ever needed a makeup artist I’ll be there for her. Fast forward three years, and that day finally came. I got the call that she had written a short film, and that she wanted me to be the key makeup artist. Ecstatic, I took the offer. I was responsible for the makeup of the three main characters. The producer and I sat down to determine the makeup looks she wanted for her characters. We brainstormed and found examples online to create a look that would make her vision come to life. For one of the main actors, I was able to do a trial makeup application the night before, so she knew what to expect. On the day of the shoot, I gave the other main actors the rundown of the type of makeup I would be applying. I started our session off with my normal client consultation and moved right into the application. The rest of the day involved keeping an eye on the actors’ makeup to ensure touch ups were made when needed. I also had the rare opportunity to help out with the sound equipment while filming. You never know what could happen! 2018 is going to be a big year! I have opened myself up to every opportunity that came my way, including a few that just approached me a few days ago. You never know who is watching. I am also planning on attending two makeup shows this year, and I am really excited! This year, I want to focus on connecting with other people in the industry. This includes not only meeting them, but to make a true and deep-seeded connection with them. I am also planning to finish as many courses as I can with QC Makeup academy this year. I am currently working through my Special FX Course and my Airbrushing Course. Next, I really want to enroll in the Pro Makeup Workshop, as well as the Hair Styling Course. Whatever you want to achieve is possible, if you take the leap and put yourself out there. If you are considering becoming a makeup artist, I would highly recommend investing the time in getting proper training. 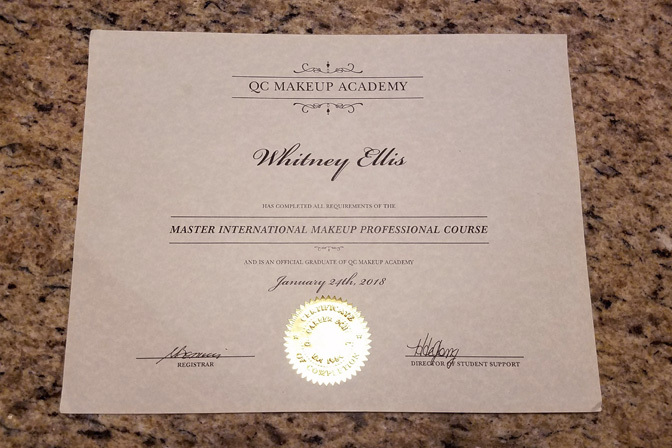 I would not have been able to do the things that I love without QC Makeup Academy! If you are looking for an amazing school that takes pride in their students and pushes you to be the best makeup artist you can be, go check out QC Makeup Academy. They have helped me turn my dreams into a reality! Are you interested in starting your career in makeup artistry like Whitney? Learn more about QC’s online training classes! 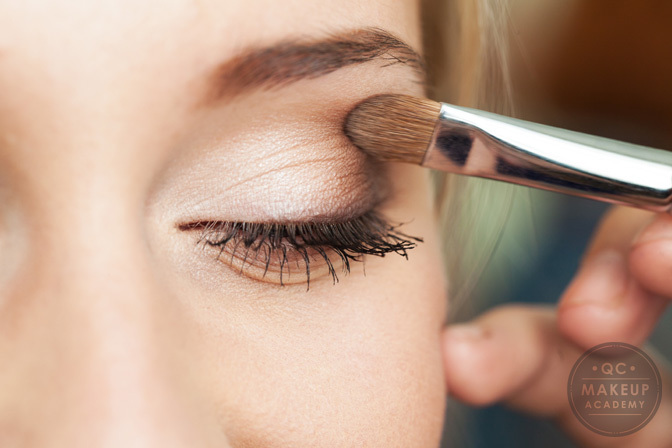 Do you have be certified to do makeup? Hi Tyra, thank you for your comment! 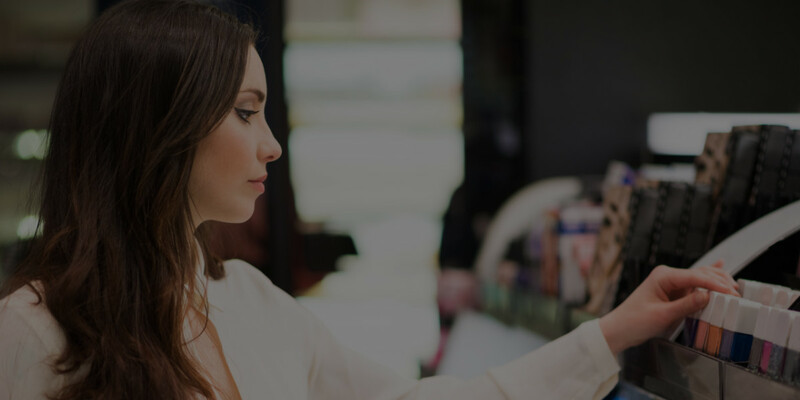 Having a makeup certification will look great to employers or to clients – as it shows that you’ve taken training and can be trusted to do the job you’ve been asked to do 🙂 The certifications that we offer are international – so you can use them anywhere! However, a certificate isn’t the same as a license. We always encourage potential students to check with their local regulating body (ie. cosmetology board) to verify since every area is regulated differently. I hope that answers your question, if not let me know! You can also give us a call at 1-800-267-1829.